What does the term “Networking” mean to you? Does it conjure images of going to a social function where you awkwardly stand around waiting to find someone to talk to? Or do you think of it as something only our firms’ marketing and business development staff are responsible for, so you, as an administrative professional, don’t even think about it? While we would hope that our firm’s marketing and business development staff would be busy networking 24/7, the reality is that it everyone’s responsibility to network on behalf of their firm. Relationships are often the key ingredient to firms learning about projects as well as winning those projects. Below are some common, easy and effective ways to begin building your networks. How are you connecting with others in SDA through your chapter meetings, EDSymposium, canstruction® and other associated events and opportunities? Are you introducing yourself and offering help to your fellow members? Almost two years ago, I was offered a great opportunity for at a different company because of my connections through SDA. Personal Networks. Your very first network began with your family and from there you began building your friend network. These are some of the very best networks to grow and nurture. What opportunities await you and your family as you share that Thanksgiving turkey? How about graduation parties, weddings and even funerals? 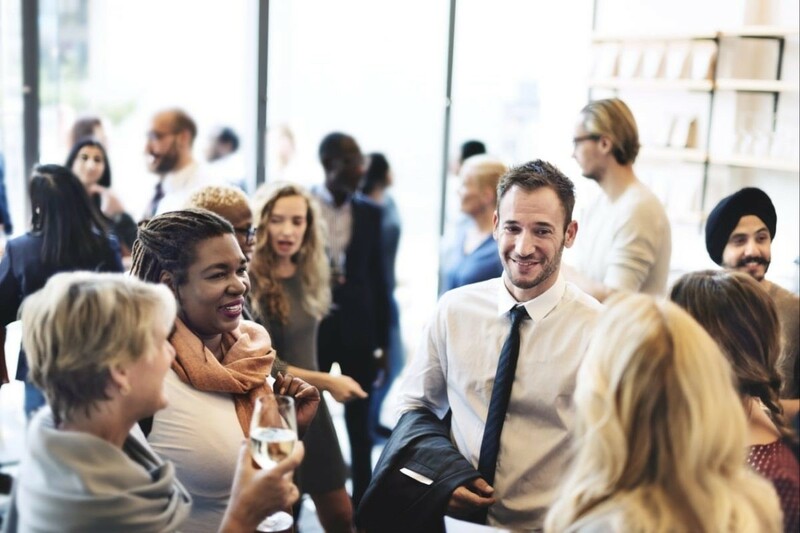 These are some of the biggest and best networking opportunities because people often ask you what you do for work or what your interests are. Many of you also have some great hobbies and volunteer in your communities. Who are you meeting and getting to know through those great activities? How can you leverage your knowledge and skills to help others out? You have so many networks that you have already worked hard to build, including your network through SDA at both the local chapter and national levels. Consider reaching out to others in your chapter to discuss how you can better network both as an individual and as a chapter. You will begin to see many new opportunities come your way by putting even a little extra effort into it. What are you doing to expand your network? Share your methods in the comment box below. Cuningham Group Architecture, Inc. in Minneapolis, MN. Another very important personal network to consider are churches and country clubs if your firm does that type of work, be sure to let the church know your work at a firm that provides Architectural and/or Engineering services. I know this has been a great way to bring in projects in several firms i've worked in over the years.